Finally got another 15 gallon brew kettle and equipment to to all-grain batches! Got a March pump too! Everything came together on the same day! Thanks Northern Brewer! 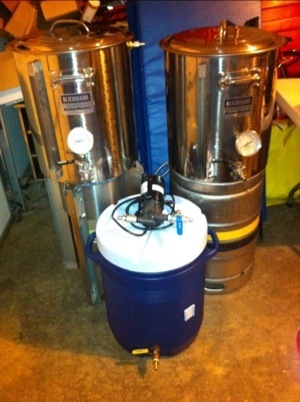 This entry was posted in Equipment and tagged All-Grain, brew kettle, Equipment, gallon, grain brewing, kettle. Bookmark the permalink.